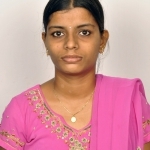 Pavani Silaparasetty from Visakhapatnam, B.Pharma Graduate. Pavani Silaparasetty is M-PHARM FRESHER and currently have no work experience. HANDLING ANALYTICAL .. SPECTROMETRY INFRARED SPECTROPHOT..
are one of expert skill area's of Pavani Silaparasetty . Pavani Silaparasetty is working in Health Care industry.